Remember the days of pasty, white liquid spot treatments? Or perhaps more importantly (or traumatically, depending on your outlook), forgoing a glance in the mirror only to hurriedly enter Starbucks with a dried-up and flaking smear of white across your face? Exact or similar scenarios have happened to us more times than we can count, and even after clear gel formulations began to make their way into our acne emergency kits, we still had issues. Not only do liquid and gel spot formulas have difficulty penetrating a frustrating pimple infestation (since they solely sit lightly atop a blemish), but they're also quick to slide off our faces—be it on our pillowcase or during a late-night yoga class. Luckily for us and our impromptu date-night pimples, however, the skincare industry has come up with a brilliant antidote over the past few years: pint-size patches that dutifully adhere to our skin, simultaneously pushing acne-busting ingredients into an angry and infected pore while protecting said pore against outside exacerbators (like bacteria or a stray finger fighting that inevitable temptation to pick or pop). As with all skincare products though, some acne patches are better than others, so we readied our pimples, rolled up our sleeves, and did the dirty work for you to find the best of the best. 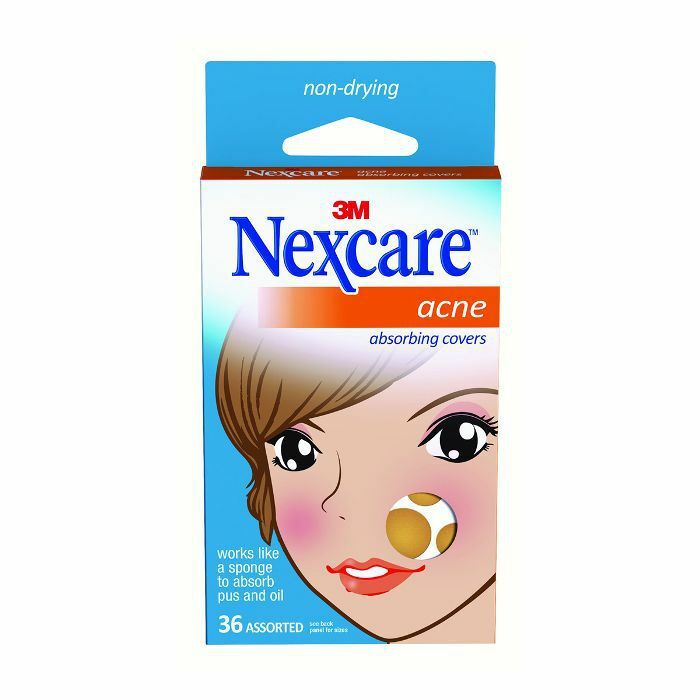 Keep scrolling for the top 10 acne patches your favorite retailers have to offer—from your local CVS to Sephora and Amazon. 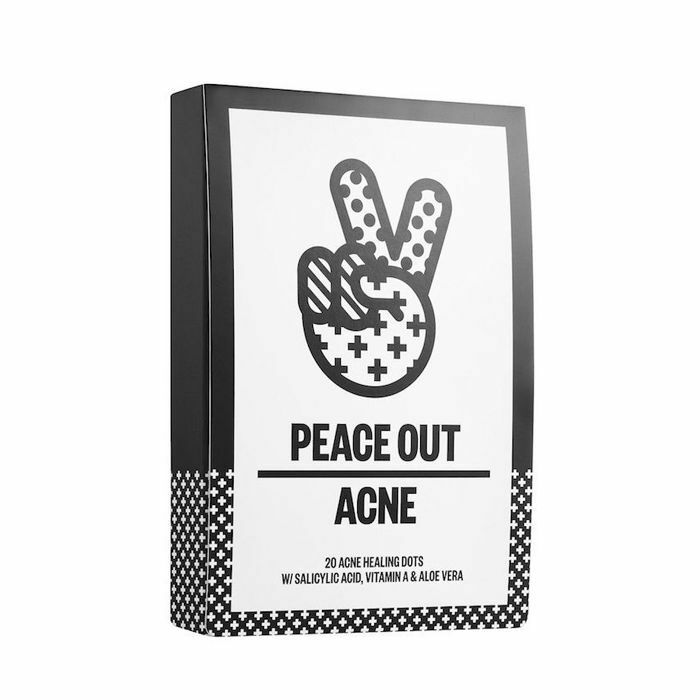 A must-have from the K-beauty world, these $5 acne patches from CosRx are some of the best when it comes to a super-stubborn bump. 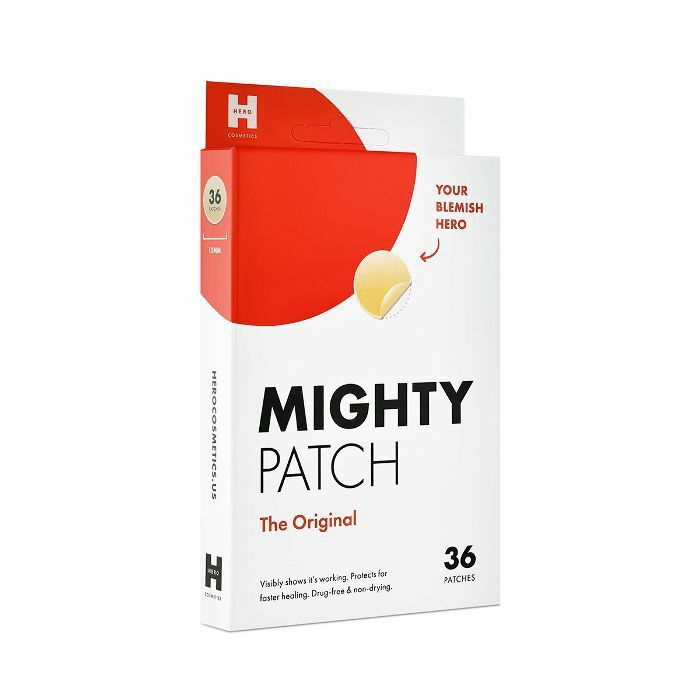 Each pack comes equipped with three different-size patches and infection-fighting ingredients that tackle whiteheads, blackheads, and open cysts in one fell swoop. Plus, they're guaranteed to stay put—even in the shower if you so choose! Not only do these handy patches come in multiple sizes (a necessity when it comes to random breakouts), but they're also thin and translucent enough to be worn with makeup. They're incredibly fast-acting so a zit won't stand a chance whether it's already settled in or is simply on the cusp. 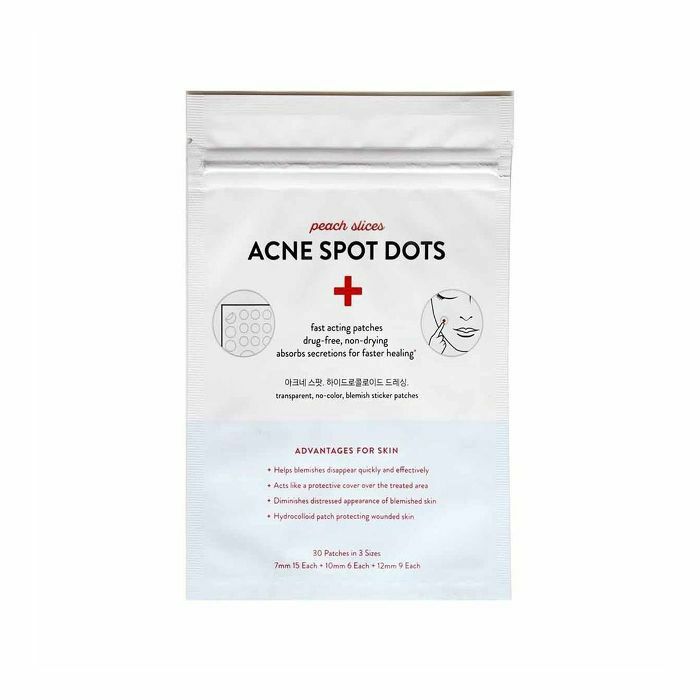 These handy dots are one of the best patchy acne treatments for multiple reasons. They're strategically infused with salicylic acid in addition to vitamin A and aloe vera, which together help soothe, treat, and prevent acne simultaneously. Plus, hydrocolloid technology extracts infection while protecting the surface layer of a blemish from outside bacteria and acne-causing perpetrators—picking included! 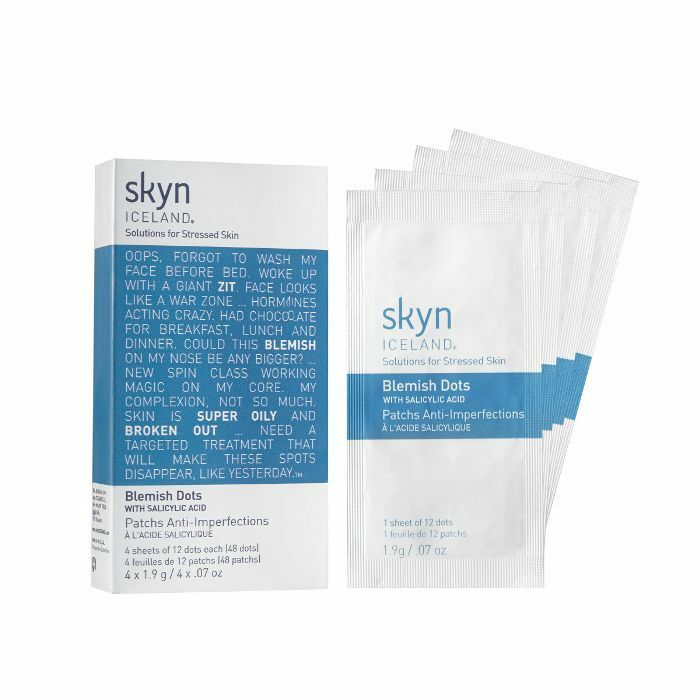 Specifically designed to shrink and banish blemishes while soothing any irritation, these handy acne patches from Skyn Iceland are one of the best for absorbing oil and ensuring the bacteria in a breakout doesn't spread to other areas of the face. They're translucent and enriched with pimple-busting ingredients like salicylic acid and tea tree oil. For under $5, oil- and bacteria-absorbing volcanic ash, inflammation-fighting tea tree oil, and infection-fighting salicylic acid will stop breakouts in a flash. You'll get two strips with 12 dots each. Ample moisture—despite what many may think—is essential for maintaining healthy skin even if your complexion has fallen victim to a frustrating nesting of bumps. 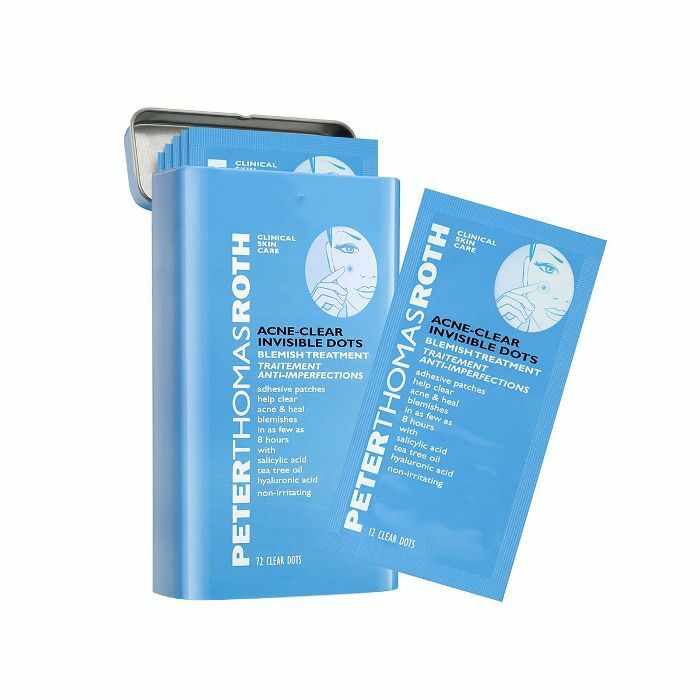 These patches boast hyaluronic acid to make sure the skin stays hydrated while nixing acne. 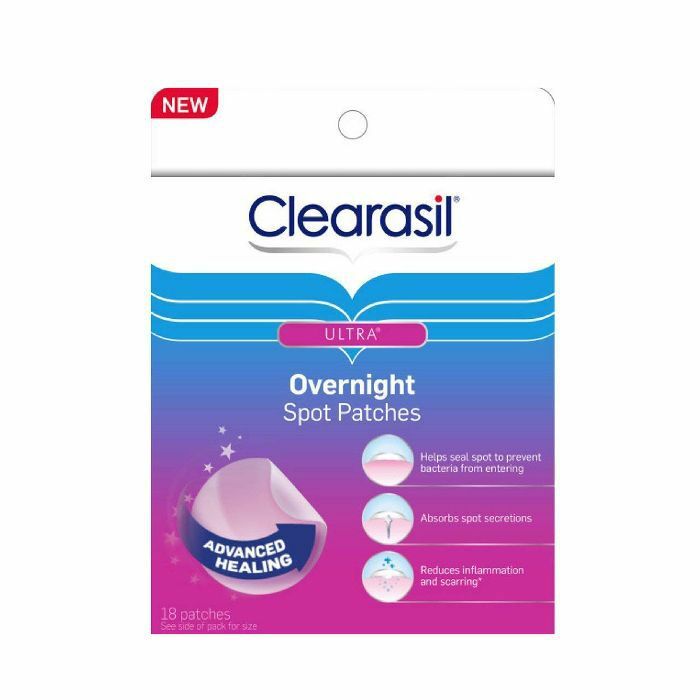 Straight from the most iconic acne-fighting brand in the realm of skincare, these overnight acne patches create an un-ideal environment for acne to flourish. All you have to do is pop one on before hitting the sheets at night, and you'll wake up significantly less inflamed. Plus, these won't dry out your skin—a major plus this time of year when our skin already wants to peel off our face at an alarming rate. We have a soft spot for these adorable dots from one of our favorite drugstore brands Yes To. Of course, we love them for their aptly named zit-zapping abilities, but we also love that they're color-codded—red dots for smaller bumps and black dots for bigger or more troublesome spots. 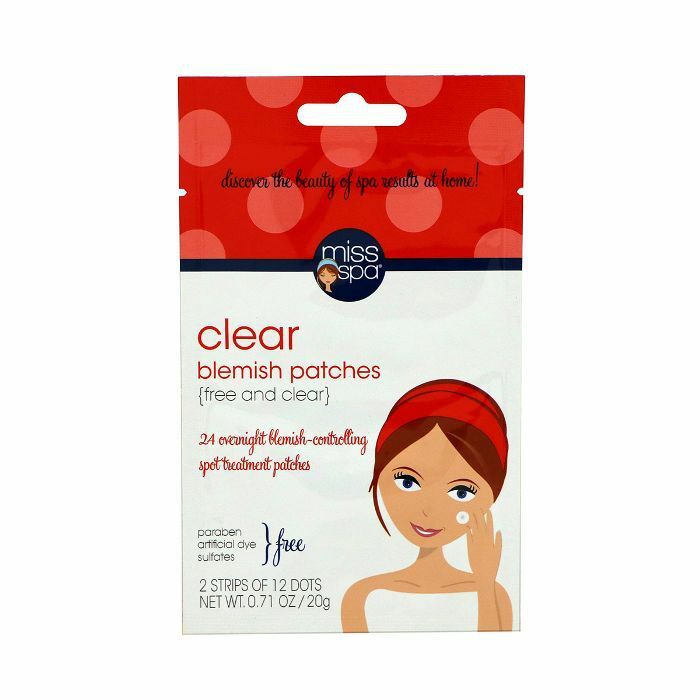 An A+ solution for all skin types, these classic patches pack a lot of punch when it comes to battling breakouts. They're the perfect pre-bedtime pimple antidote, skillfully extracting pores of impurities and expediting healing time to help prevent future breakouts and scarring. With just under 3000 reviews on Amazon (and an almost-five-star rating), these lesser-known acne patches just might be the best money can buy. They're gentle yet mighty and help to absorb bacteria, oil, and other sneaky blemish-inducers. You can wear them at night, but since they're transparent, they're also remarkably suitable for daytime wear as well.